MILAN (AP) — Archaeologists have discovered a fresco in an ancient Pompeii residence that portrays the mythological hunter Narcissus, who fell in love with his own reflection. The discovery announced Thursday is in the atrium of a house where a fresco was found late last year depicting a sensual scene between the Roman god Jupiter disguised as a swan and Leda, a queen of Sparta from Greek mythology. 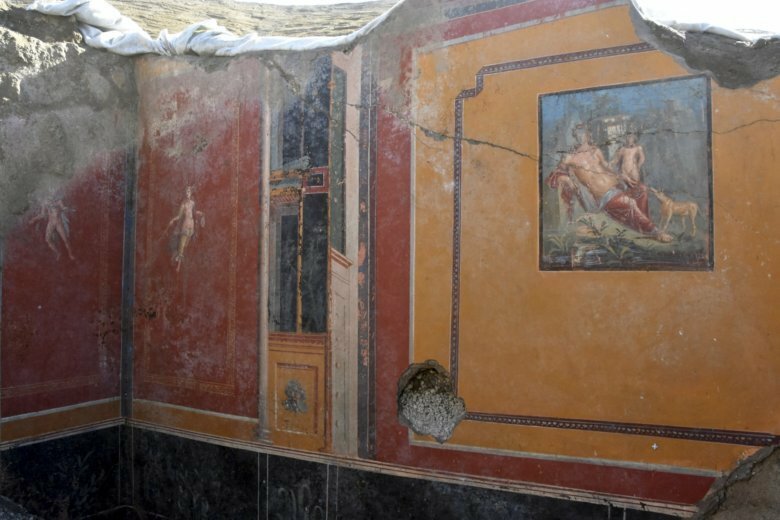 Pompeii director Alfonsina Russo said that the “beauty of these rooms” has prompted officials to continue to uncover more treasures so that one day the house can be at least partially opened to the public. Officials noted archaeologists also found inside the ancient atrium a dozen glass containers, eight terracotta vases and a bronze funnel in a space underneath a staircase.